HALF BAKED: National Purple Heart Day. 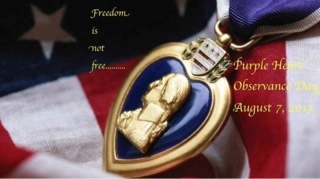 To our Hero's that have been awarded the Purple Heart-both wounded, and fallen, I honor you. I respect you and I remember you always. NEVER FORGET! !